Remember, too, reduced registration through December 31st, then it goes up… Register now! 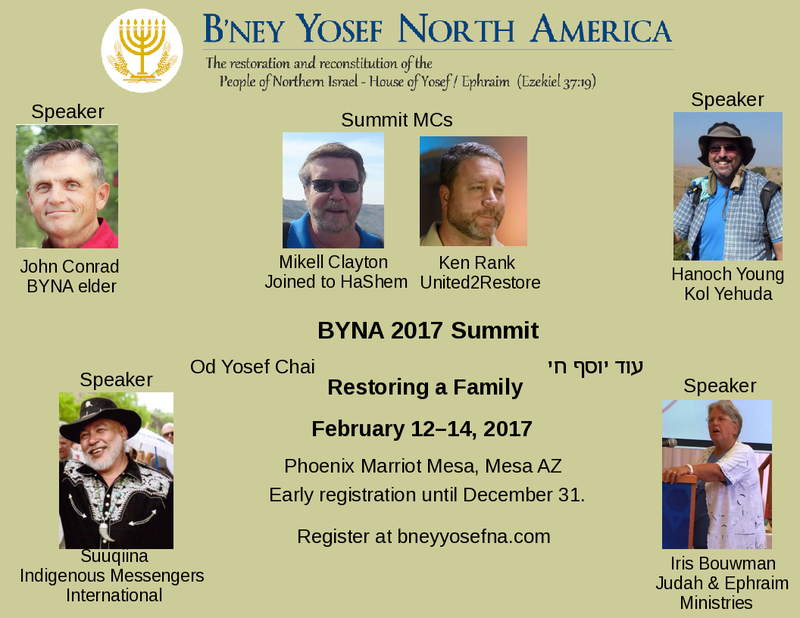 This entry was posted in B'ney Yosef North America and tagged Ephraim, Hanoch Young, Iris Bouwman, Judah, prophecy, restoring a family. Bookmark the permalink. I am enjoying your new book that arrived in the mail yesterday! It wil be wonderful to share with others! Thank you. My hope is a good easy-to-read starter book that has enough meat for even the seasoned follower of the Way.